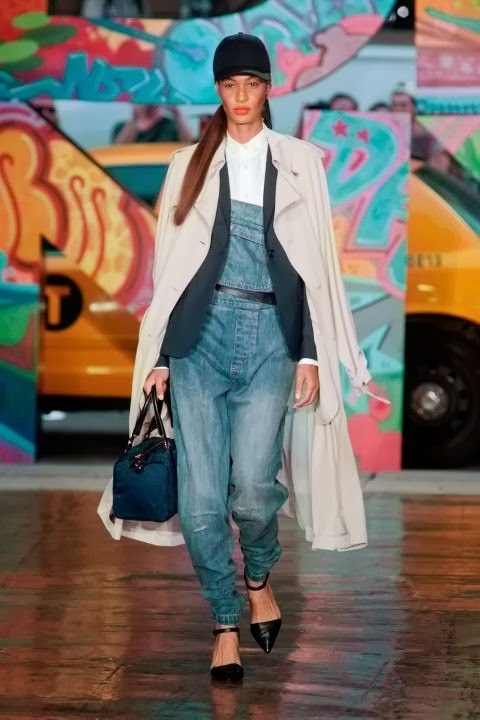 Style Theory: Denim is no longer just about jeans, in Spring Summer 2014 Denim is taking over our wardrobe in different guises, tailored shirts, washed dresses, patched jeans and printed jackets. This season any style goes but just make sure you keep it blue. 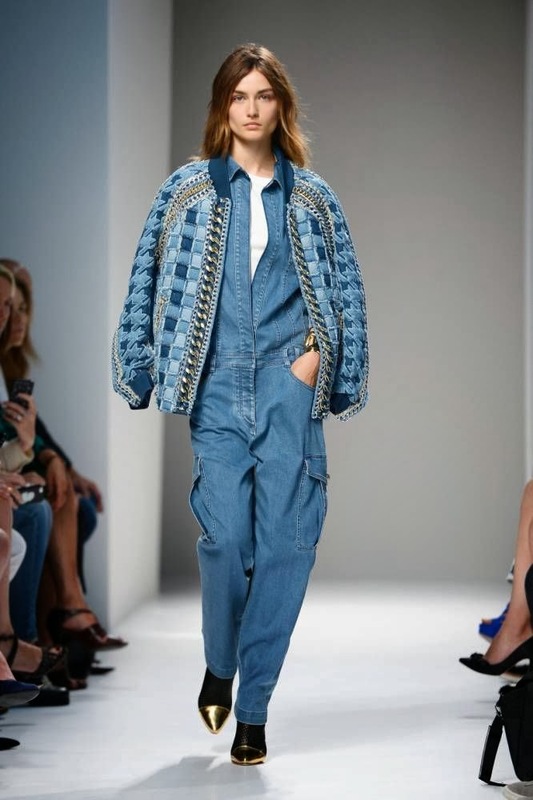 The models in Balmain and DKNY sashayed down the SS14 catwalks in denim with 90s style patches, embellished with chains and studs. This is a slightly extreme look for day to day life so the High street have kindly adapted this trend to make it more wearer friendly. 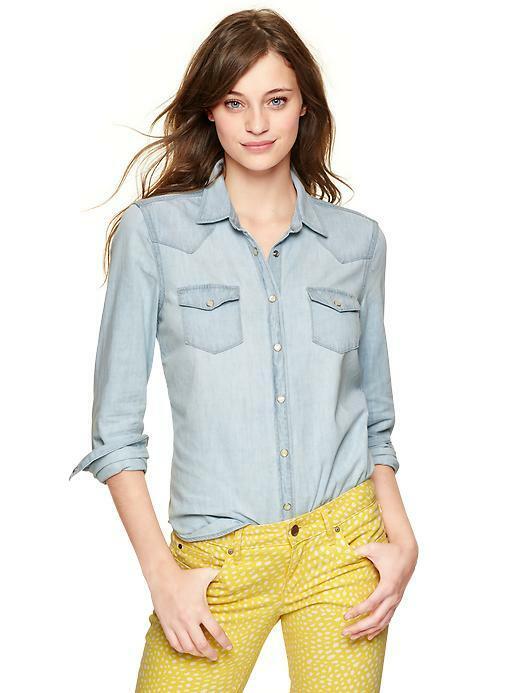 With fabulous denim dresses, skirts, jackets and shirts available, the look can be easily worked into our daily wardrobe. 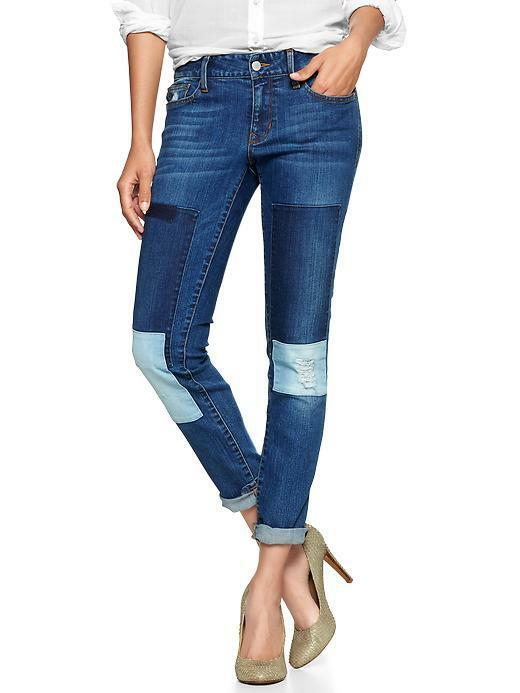 These boyfriend jeans have been rolled down for a chic and flattering look. 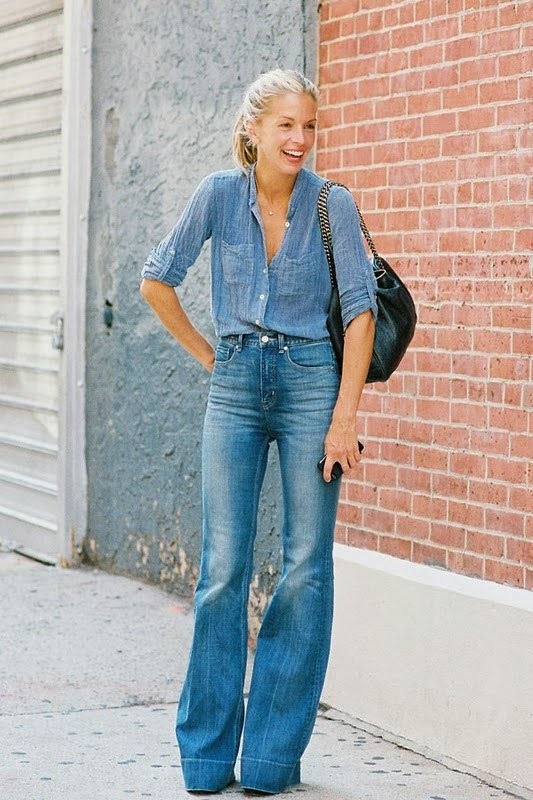 Double denim and patches, looks great with strappy sandals. 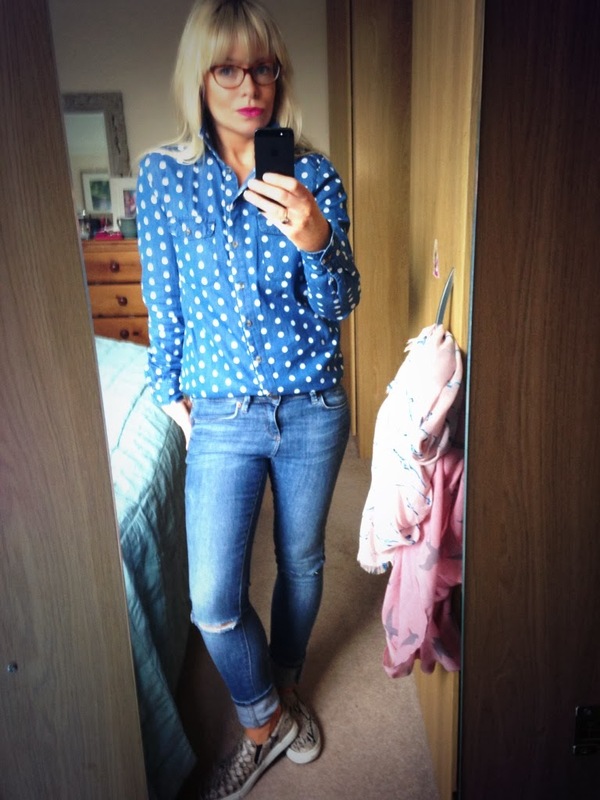 A denim shirt looks lovely paired with leather trousers and heels. 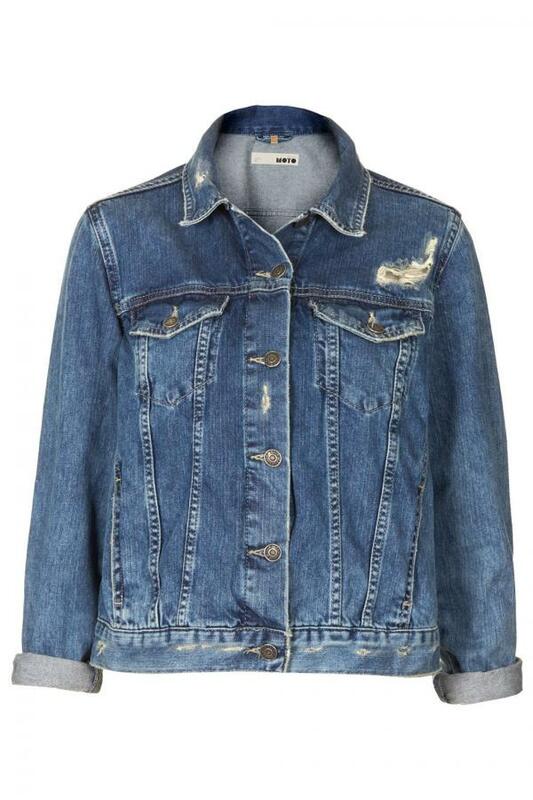 Wear your denim jacket with skinny jeans, just make sure you have an oversize jumper in between. This gorgeous, pale coloured shirt would look beautiful paired with mid or dark denim jeans for a 70's vibe. The shirt can also be worn in the summer with the sleeves rolled up and a pair of white/khaki trousers with slip on skater shoes. 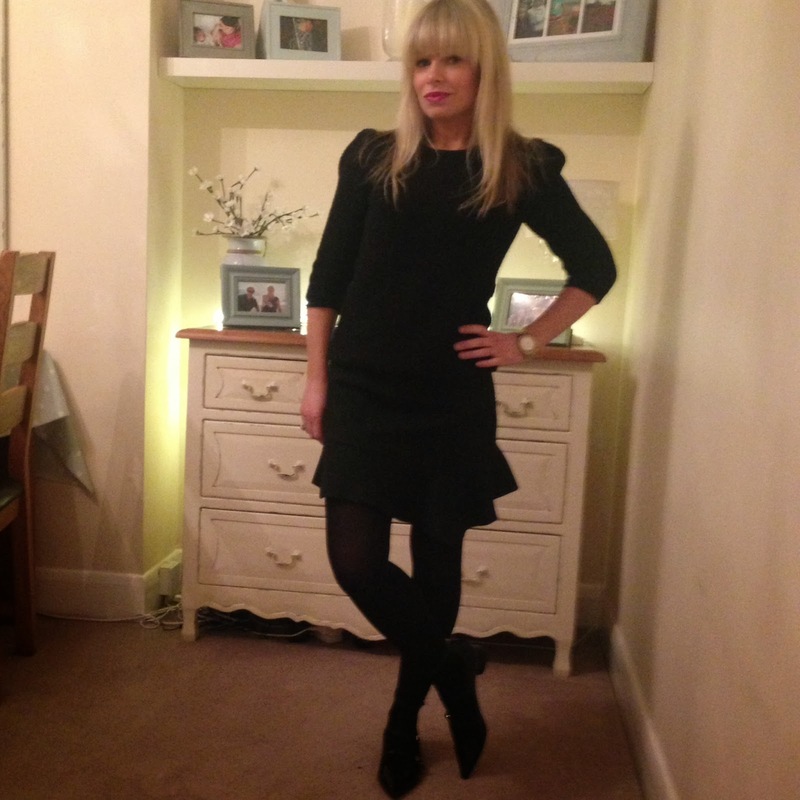 An easy-wear dress, wear with tights and ankle boots now and with a pair of white supergas in the summer. An alternative to jeans, this cute dress has a drop waist and a diamond dot pattern. The dress can be worn in the cooler weather with opaque tights and black ankle boots and when it is warmer with a pair of leopard print Keds. Or try this shift dress from Topshop, dress it down with a pair of New Balance red trainers and a Trench coat, or dress it up with a pair of animal print heels and a fluid lightweight full length coat. 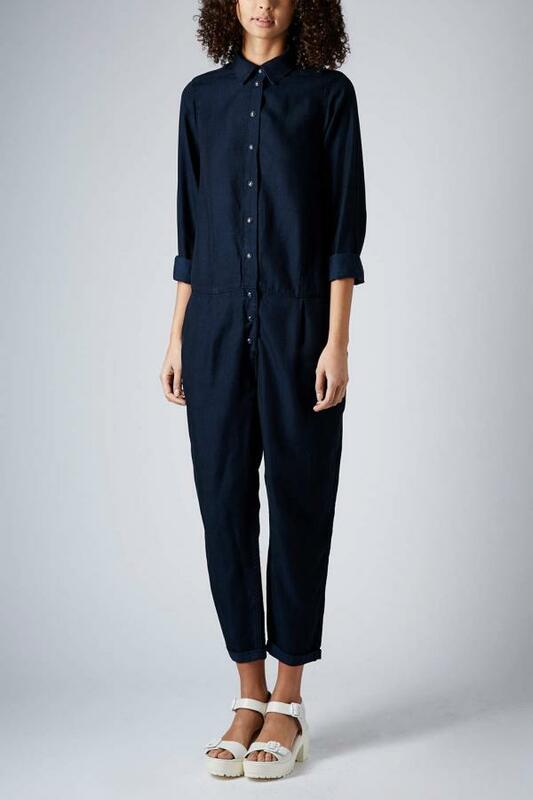 Boiler suits are not everybody's 'cup of tea' but can look laid back and fabulously chic for an evening out. When wearing a boilersuit make sure you a pair of heels, heeled courts in snakeskin or high sandals would be the most flattering, add a tailored navy or black jacket and a red /hot pink chanel-like bag for a pop of colour. This top would look fab with a pair of ankle length skinny jeans and metallic pointed pumps, add a green Topshop rucksack for a touch of colour. 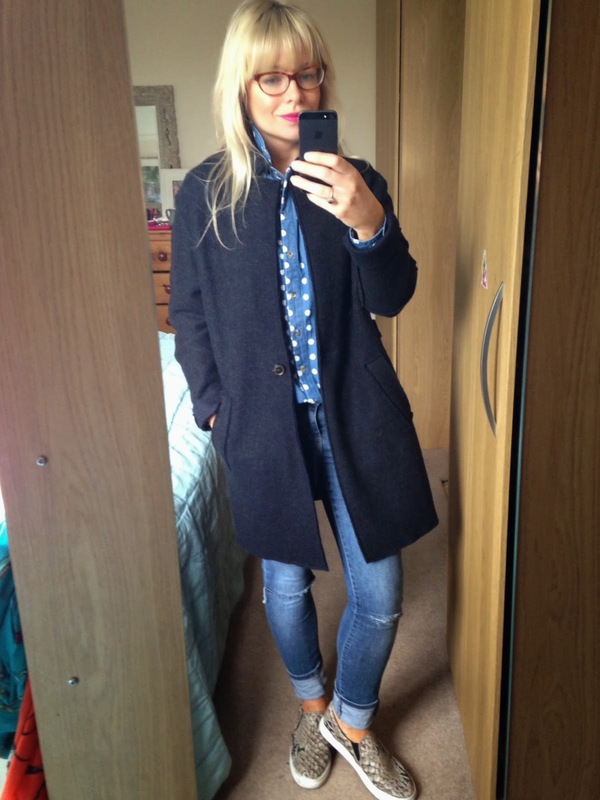 For a gentle nod to the denim trend or to incorporate denim into your workwear this denim-like blazer would look fabulous with a tailored white shirt, ankle length black or navy trousers and two tone brogues (Aldo have some gorgeous brogues) for an androgynous look. A cool, distressed jacket with a vintage look, juxtapose the look with a smart cream silk blouse, black tailored ankle length cigarette and heels. 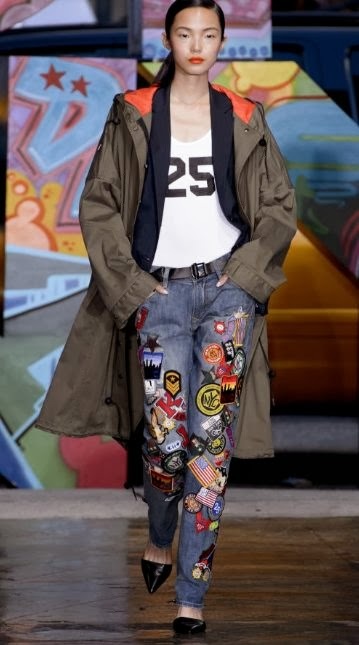 Make like DKNY and add interest to your jeans with patches, they look cool rolled up with trainers and can also be dressed up with a pair of heels and slouchy, silk blouse for going out. 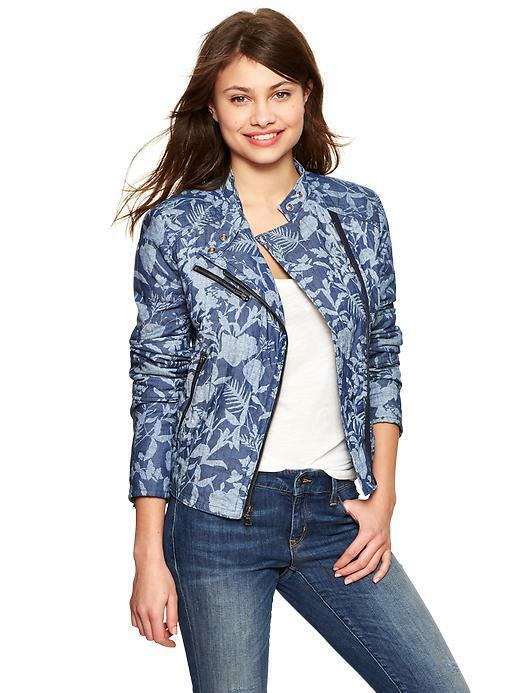 This jacket ticks so many trends, floral, denim and a quilted biker shape, wear with a simple white or grey marl t-shirt and dark blue skinny jeans and a pair of cut out boots for a chic look. 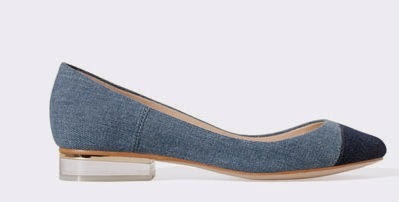 Perfect denim shoes in every way, the shape, the two tone colour, wear in the summer with a pair of white jeans a short sleeve denim shirt for SS14 denim perfection. Glamour puss in your night out outfit - LOVE THAT! 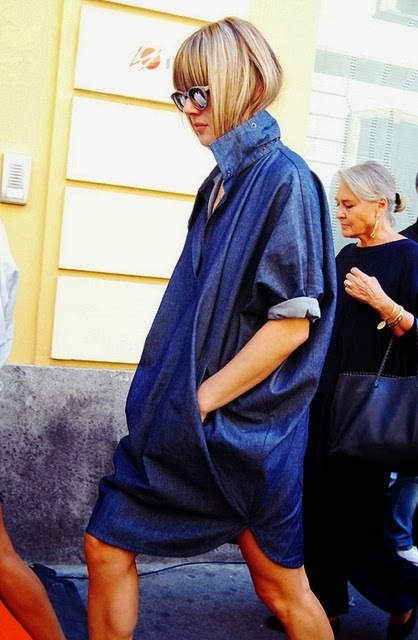 I am also loving the denim dress with khaki - that's a gorgeous combo. 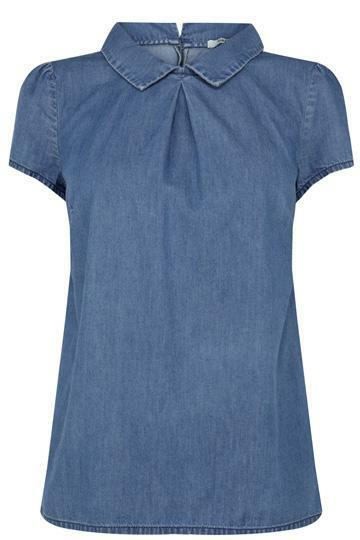 Some great pieces here Frances & now the temperatures are rising I must start to wear my new denim dress! 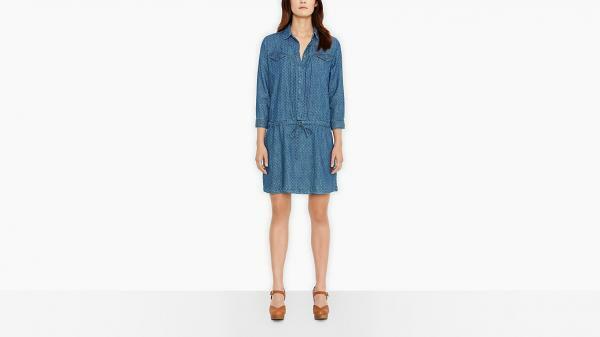 I love the Levis trucker dress - I like the drawstring detail on it. But I have too many denim dresses now and I really have to stop. Love the Cos jumper on your going out outfit - I tried the plum/black colourway last season but unfortunately the one I tried on had a very puffy shoulder on one side and a very normal one on the other and I didn't have time to ask the sales girl for another one to try as I had the Grumps and the boys sitting outside the changing room waiting for me so the pressure was on! Maybe it wasn't meant to be but you look so lovely in yours, I might be tempted to order. I really like this post - had not thought of wearing denim shirt with my new patchwork jeans but will definitely do that now. 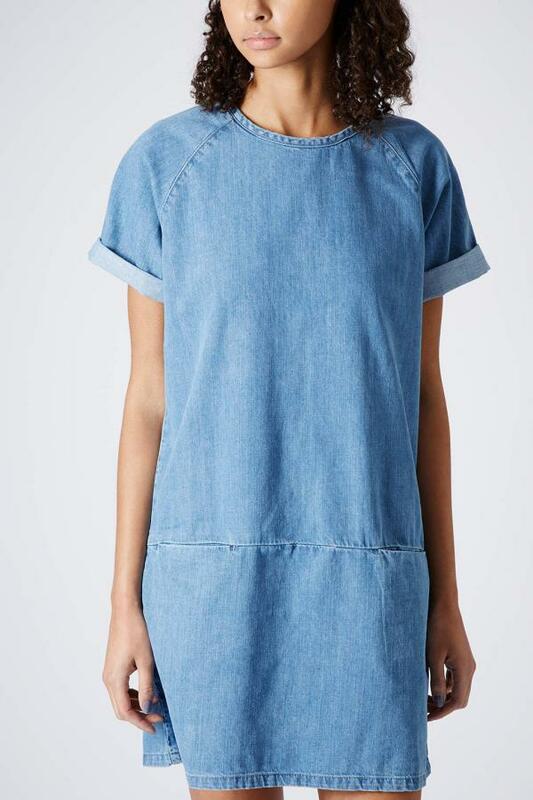 And now I want a denim dress too!